Your order will ship MONDAY if placed in the next 3 hours 2 minutes . Enter your shipping address zip code to receive an instant delivery date estimate from UPS. CCI Mini-Mag 22 Long Rifle Ammo 36 Grain Plated Lead Hollow Point ammo for sale online at cheap discount prices with free shipping available on bulk 22 WMR ammunition only at our online store TargetSportsUSA.com. Target Sports USA carries the entire line of CCI ammunition for sale online with free shipping on bulk ammo including this CCI Mini-Mag 22 Long Rifle Ammo 36 Grain Plated Lead Hollow Point. CCI Mini-Mag 22 Long Rifle Ammo 36 Grain Plated Lead Hollow Point ammo review offers the following information; Delivering an explosive and accurate performance over and over again with incredibly reliable ammunition is what CCI Ammunition is known for among hunters and target shooters alike! For over 50 years shooters have counted on CCI for all of their rimfire ammunition needs, and CCI has always delivered. 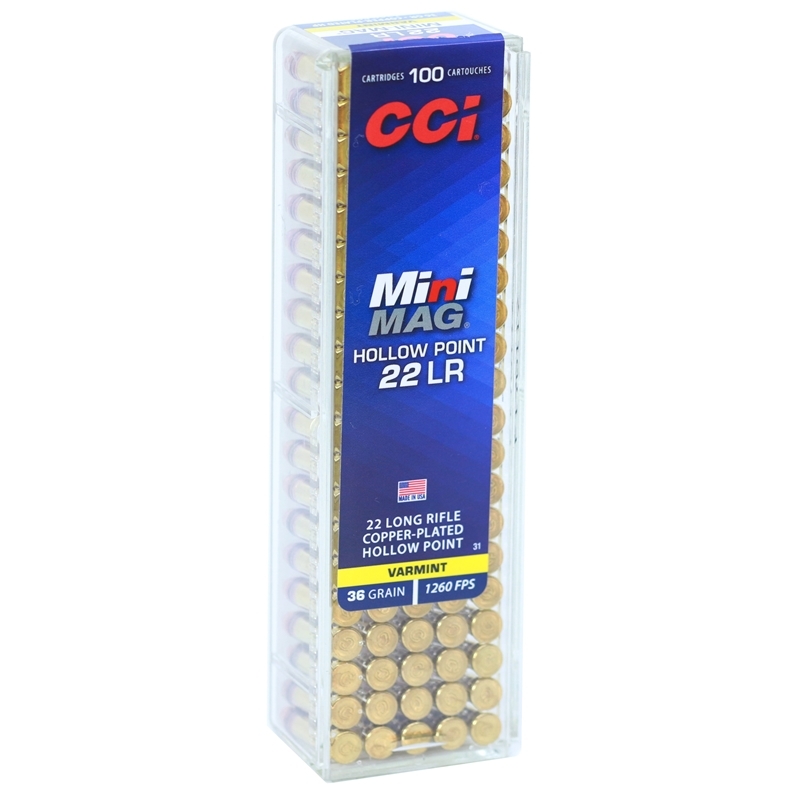 CCI Mini-Mag 22 Long Rifle ammunition is the best rimfire ammo in the shooting industry currently on the market! This Mini-Mag round was CCI's first rimfire product and continues to be their most popular, withstanding the test of time. CCI Mini-Mag 22 Long Rifle is new production, non-corrosive ammunition that features CCI sure-fire primer and brass cases. 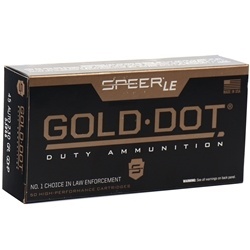 This CCI Mini-Mag ammunition is loaded with a 36 grain Copper Plated Lead Hollow Point bullet. The copper plated lead hollow point bullet provides outstanding performance for a variety of uses including small game and varmint hunting. The hollow point bullet with the dimple-tip expands like big game bullets, giving shooters minimal meat and hide damage while still providing enough power and accuracy to get the job done. CCI Mini-Mag ammo features clean-burning propellants that help keeps semi-automatics cleaner longer. Mini-Mag round was CCI's first rimfire product and continues to be their most popular after all these years. The 36 grain bullet offers excellent all-around performance for small game and varmints. The clean-burning propellant keeps semi-automatic actions clean for longer shooting sessions. This ammunition is new production and non-corrosive. Muzzle Energy 127 ft. lbs. Response:Currently we do not have enough stock of CCI Mini-Mag 22 Long Rifle Ammo in stock that we can offer bulk sales. Hopefully in the near future we will be able to send you bulk CCI 22LR ammo was well. Response:We will have more CCI Mini-Mag 22LR Ammo 36 Grain HP very soon. Response:We are working on getting the issue resolved ASAP, You should be able to place your order for CCi Mini-Mags 22LR ammo.